A burning and discomforting feeling in the eyes is described as burning eyes. Tearing, itching and discharge from the eyes are usually the symptoms that accompany eye burning. An infection is more often than not the reason in case the eye burning occurs with discharge or itching. Immediate investigation of these symptoms by an eye specialist or your family doctor is necessary as they are indicative of a serious eye condition. If left untreated, these symptoms can put you at risk of damaging your eyes and even render you blind. The combination of symptoms like discharge, itching and burning eyes is usually caused by a viral or bacterial eye infection. Conjunctivitis or pink eye is among the most common eye infections, which targets the conjunctiva, a thin membrane found along the part of the eye as well as the eyelid. Watery eyes and intense itching are among the symptoms of this infection which are usually accompanied with discharge that leaves a brittle covering on the eyelashes and in the eye corners. Blepharitis is also a common disorder of the eye that is generally not contagious and affects both sexes and people of all ages. This eye problem can be associated with skin disorders like seborrhea, rosacea or bacterial infection. It causes inflammation of the eyelash follicles present on the eyelid’s edge, resulting in the formation of a scales on the eyelashes that look like dandruff. Crusty discharge, itching, burning, lid redness of the eyelids or the eye and excessive tearing are among the most common signs of Blepharitis. An injury to any part of the eye that occurs while working with chemicals in the laboratory or playing any activity sports can also cause watery burning eyes. This is the reason why wearing protective eyewear is considered very important while performing such activities. A sharp fingernail can also result in an eye injury if you poke your eye with it while wearing your contact lenses. Dry eyes is a condition in which the tears produced in the eye fail to offer enough moisture to the eyes. There are a number of reasons for the inadequateness of the tears. For instance, you may get dry eyes if the tears produced are of a poor quality or if your eyes are not producing the required amount of tears. Dry eyes can be extremely irritating. Having stinging and burning sensations in the eyes are common in people with dry eyes. The symptoms of dry eye are commonly experienced when you are in an air-conditioned room, have remained in front of a computer screen for 2-3 hours, travelling via airplane or riding a bike. Burning eyes can be caused due to inflammation that results from allergies. Both localized and airborne allergens can irritate and inflame your eyes. Moisturizers and makeup are examples of localized allergens while animal dander and pollens are examples of airborne allergens. Exposure to pollutants present in the atmosphere like dust, smog or tobacco smoke is also among the causes of burning eyes. Shampoo, bleach, soap and other household cleaning solvents contain chemicals that can also cause eye burning. Eye burning can also sometimes be caused by the chlorine present in swimming pools. Dry air that is either extremely hot or cold can also cause the eyes to burn. Eye burning can occur due to the prolonged use of contact lenses, too. How to Deal With Burning Eyes? The root cause for burning eyes determines the treatment that has to be administered for this eye issue. Most of the time the burning stops troubling you if you get away from the factor that has been causing the irritation, for instance smoke. The itching in the eyes can be soothed by applying a cool compress. You may also find the crusts that form on the eyelashes can be softened by applying a warm compress. The crusts can also be removed by washing the eyelids with a cotton applicator coated with baby shampoo. Dry eyes and other causes of eye irritation and eye burning can be treated through the use of artificial tears for around 4 to 6 times a day. Avoiding contact with allergens like cosmetic, pets and grasses can help you in treating eye burning. 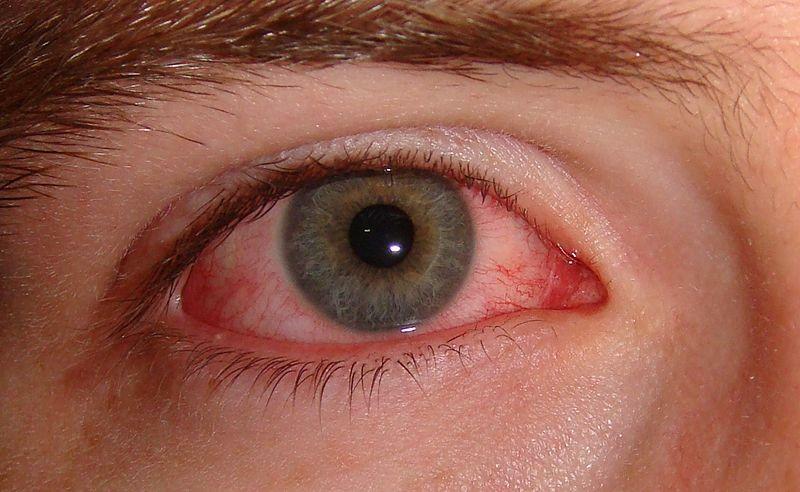 Antihistamine eye drops are usually prescribed by doctors to deal with allergies. Refrain from touching the eye that has not been affected. Prescription antibiotics in the shape of eye drops is often a treatment option for eye infections caused by bacteria. The doctor might prescribe oral antibiotics too if the drops are not enough for fighting the eye infection. Viral eye infections cannot be treated. They usually go away on their own within a period of two to three weeks. Itching and eye inflammation can be relieved by using steroid eye drops as well. The ulcers that have formed on the eye because of the damage caused by the infection can be treated very effectively by these eye drops. These eye ulcers are dangerous as they can cause serious harm to your eyesight. The discharge is greenish, thick or looks like pus as it is an indication of bacterial conjunctivitis. You are experiencing intense sensitivity to light or eye pain. You are experiencing a decrease in your eyesight. The swelling in your eyelids has increased a great deal.